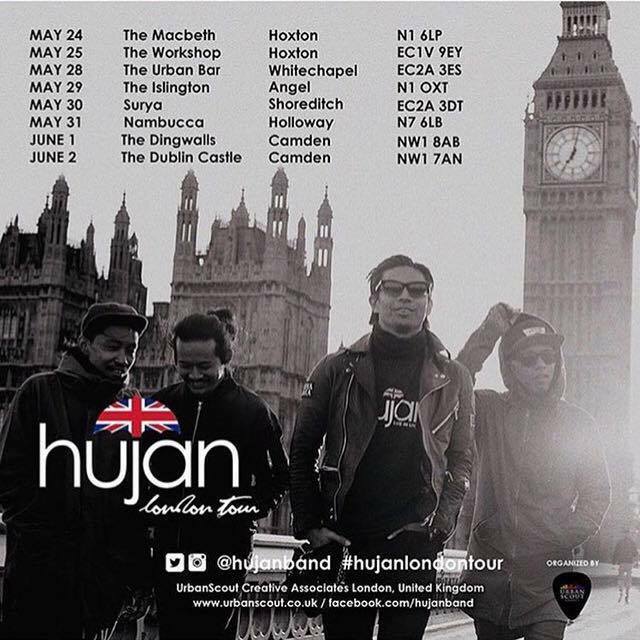 In conjunction with the launch of their latest album “Jika Sempat”, as well as their 10 year anniversary, Malaysian rock band Hujan is set to fly off to London tomorrow for their “Hujan London Tour” in the U.K. The band will be performing a total of eight gigs from 24 May to 2 June 2016 at various places in London including Hoxton, Holloway and Camden. This is certainly not the first time that the band would be performing in the country as they’ve been to U.K. to promote their earlier EPs, “1,2,3,Go!” and “Check Check Rock Rock”. Hujan recently went there again for the BM Fest 2016 in early April, and also to shoot their music video for “Jika Sempat”. 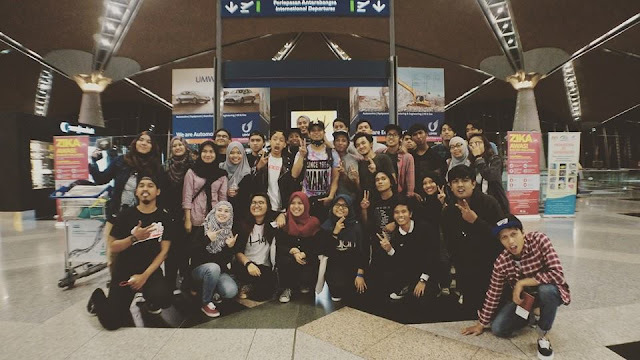 Their tour in London will be a token of appreciation for their supporters in the U.K.
Hujan’s fifth studio album, “Jika Sempat” which consists of 12 tracks, is available on all digital platforms including Spotify, and is also physically sold at video and record stores.